There are Basically Two Types of Resumes... (Part Two of our Resume Series) - Southeast KANSASWORKS, Inc. There are two types of resumes and you can do them online or print them out from a computer to give to an employer. Which type you use depends on your experience and skills as well as what the employer is looking for. The chronological resume is the easiest and least time-consuming to compose. 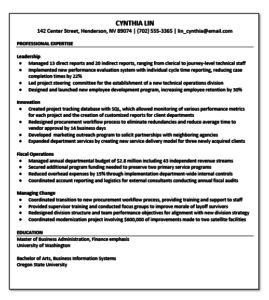 This resume lists previous experience in date (chronological) order, most recent experience first, followed by previous jobs. This is the most commonly used because this resume format is the the one most employers prefer. It gives them all the information they want to know in a job application format. This is the traditional resume format, good to use if you have experience and skills similar to the ones needed in the job that you seek. This resume is harder and more-time consuming to compose, but works well if you have problems in your work history such as gaps in employment, frequent job changes, limited work experience, weak skills, etc. 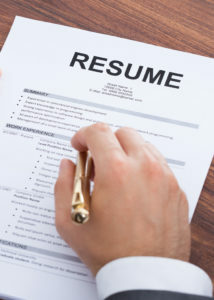 Some employers dislike this type of resume because it can disguise a job seeker’s faults. This resume organizes your experience by key skills rather than by past jobs. This format is frequently used by professionals who want to emphasize a particular strong or important skill area.